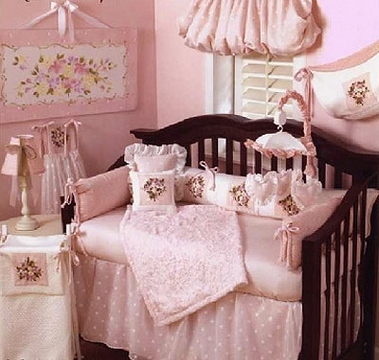 Here is a fairytale children's room for a girl. It looks so lovely! I love everything in it, espesially the variety interior elements with matching embroidery and bows. Together they create such a sweet, tender, aery and wonderful atmosphere... I rely on it that any girl will feel herself a princess in such kind of a room, and it's great!